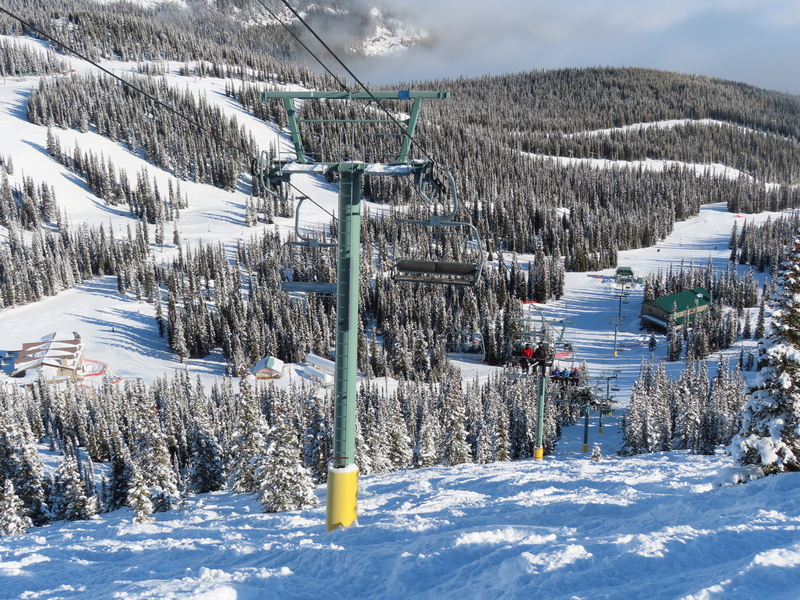 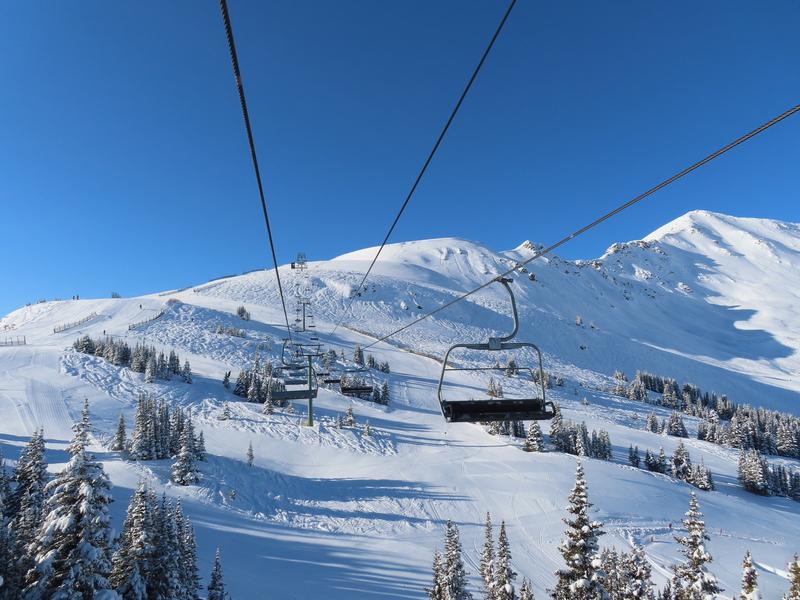 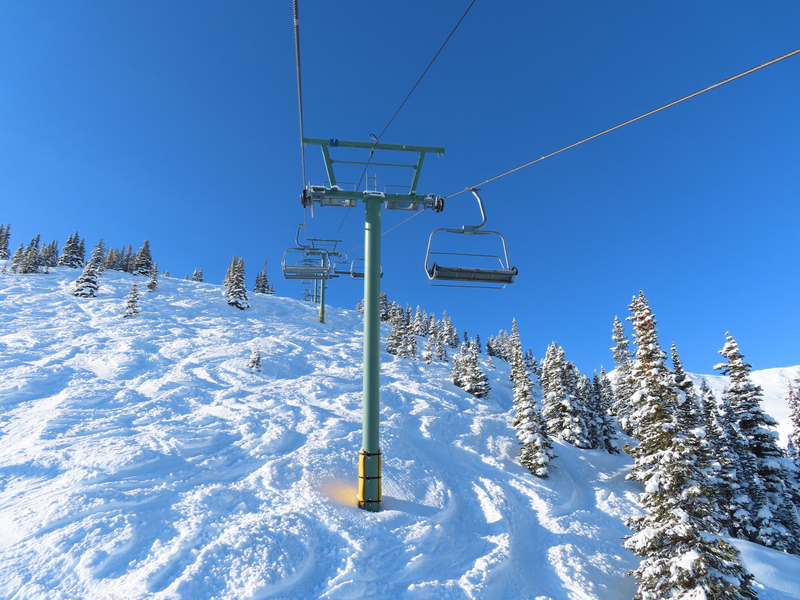 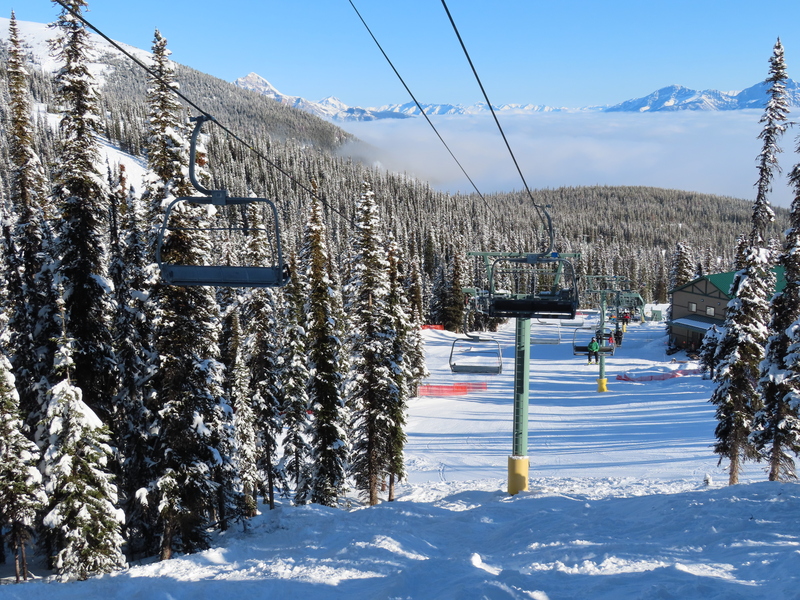 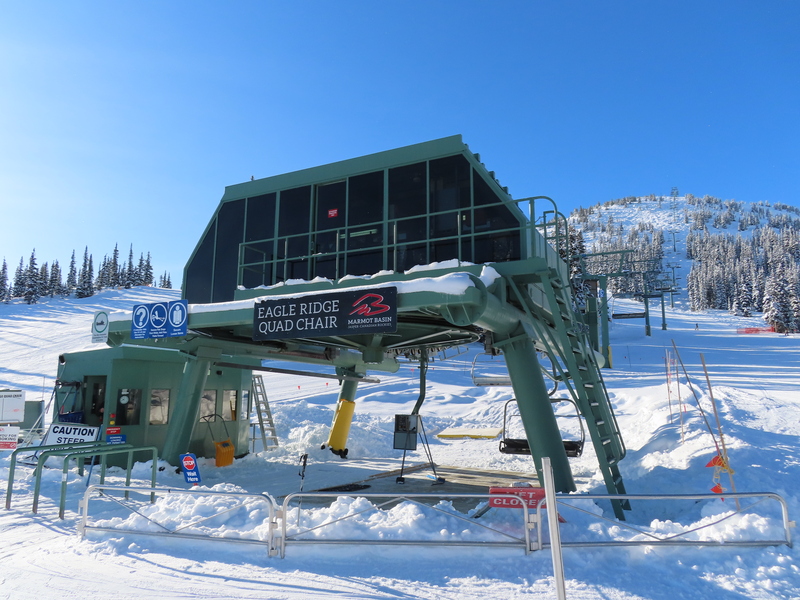 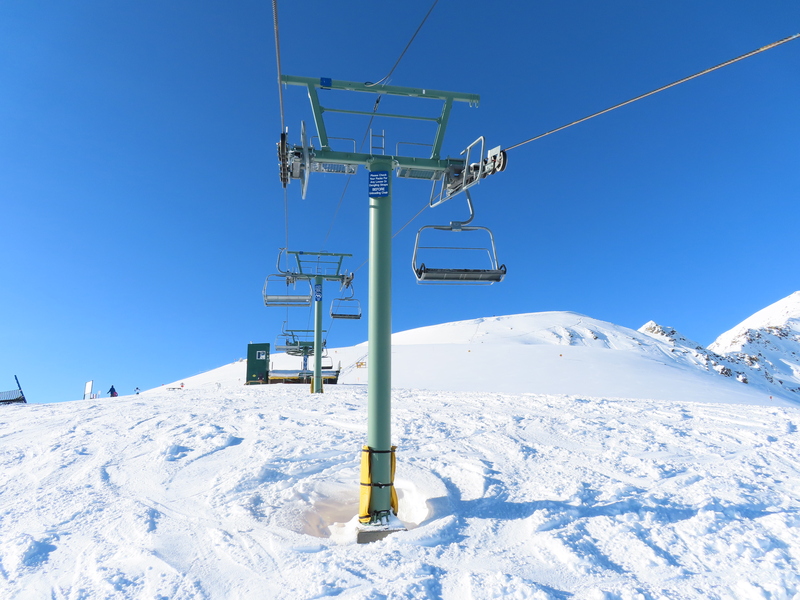 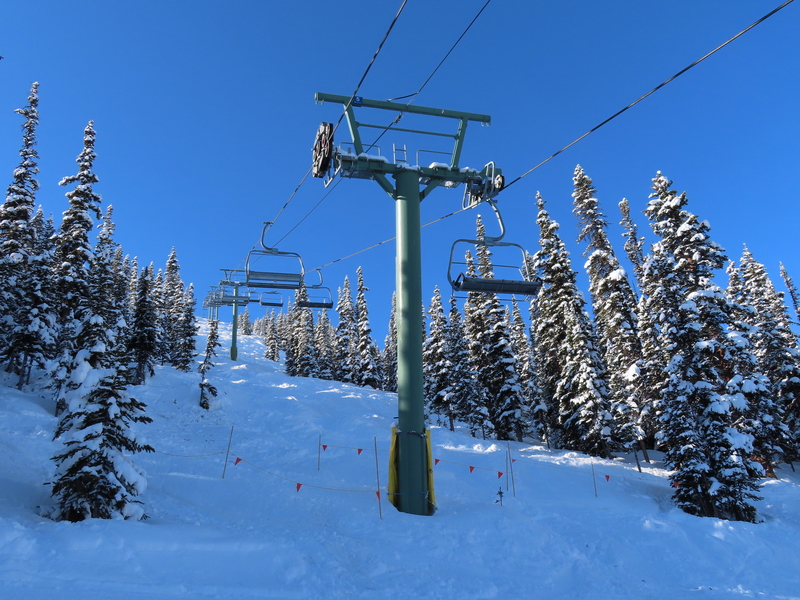 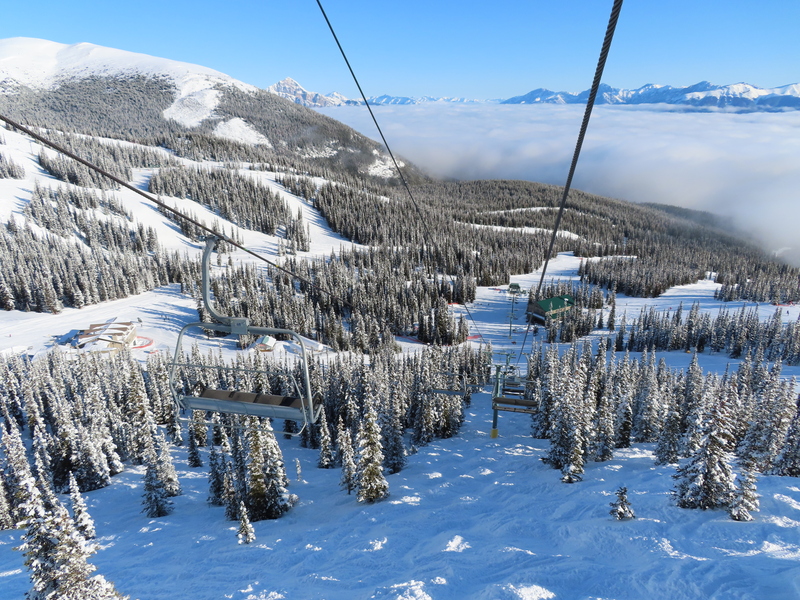 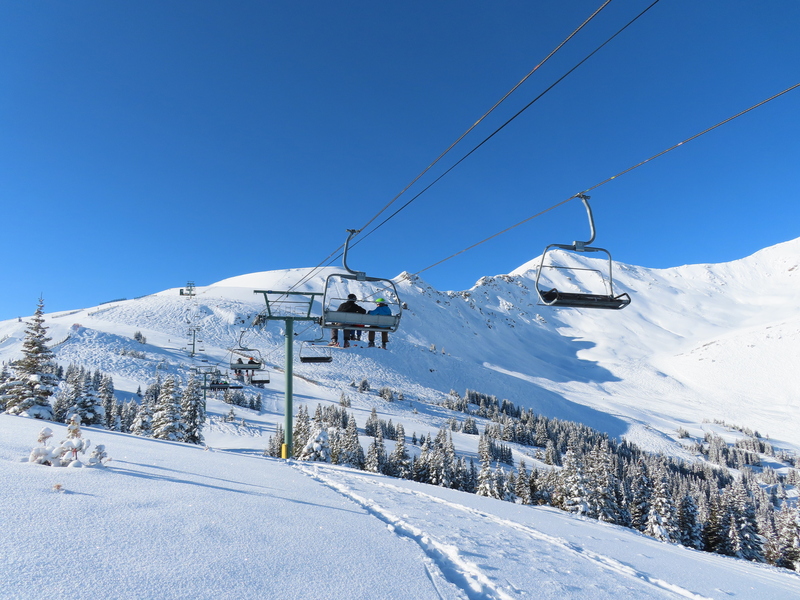 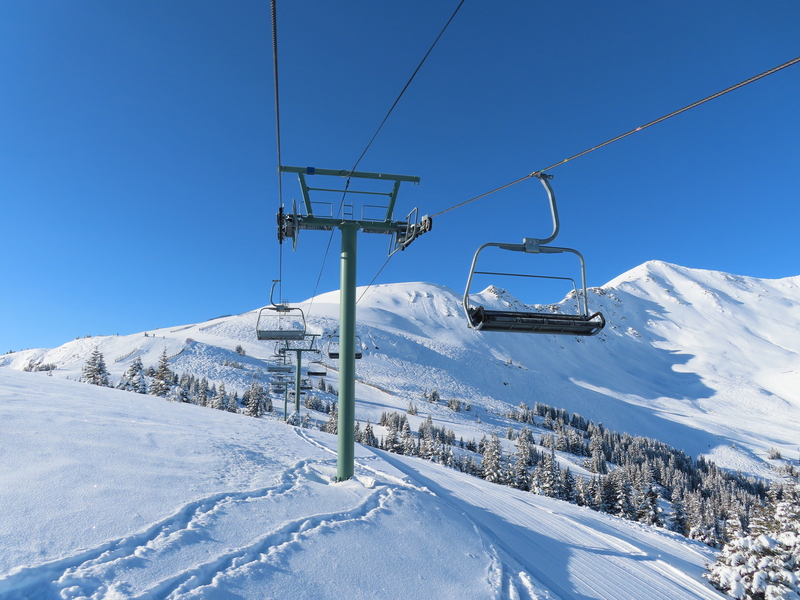 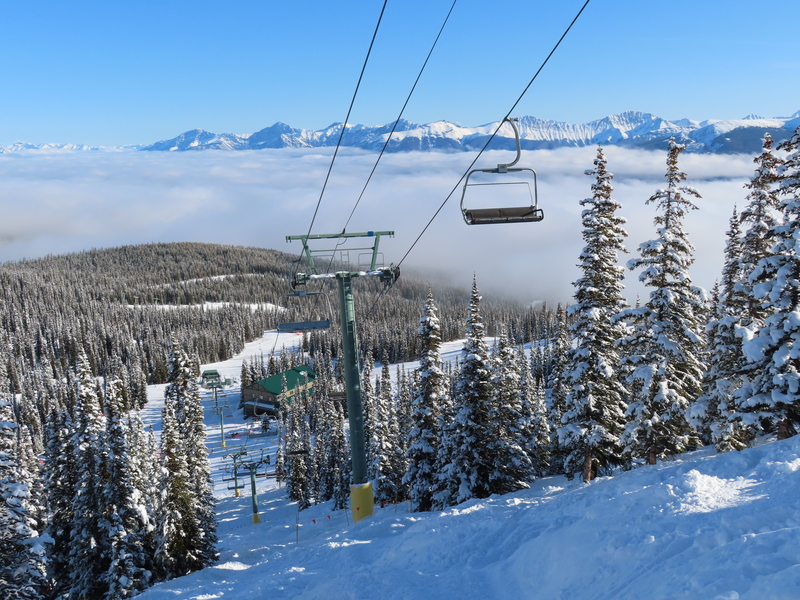 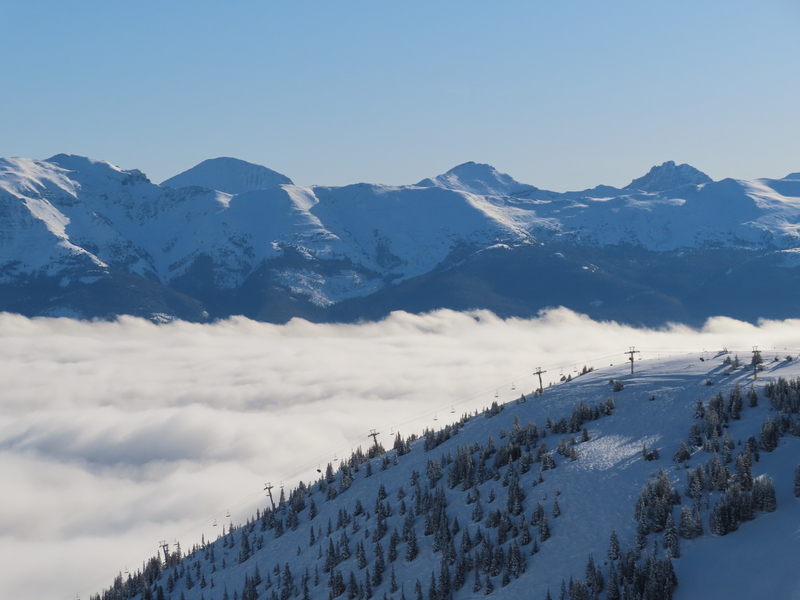 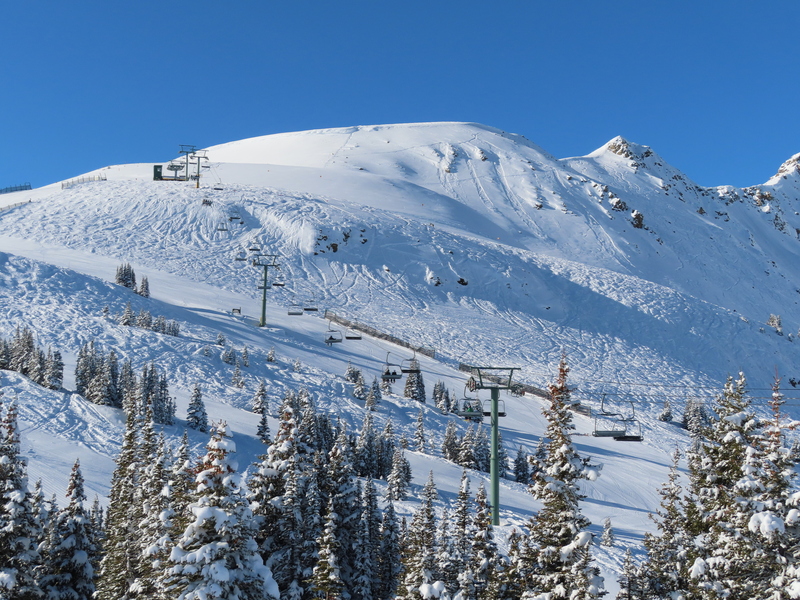 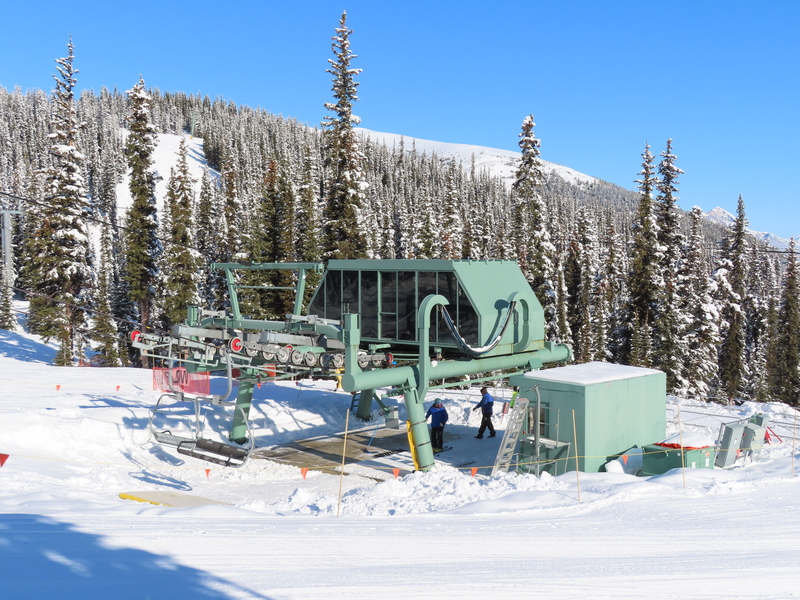 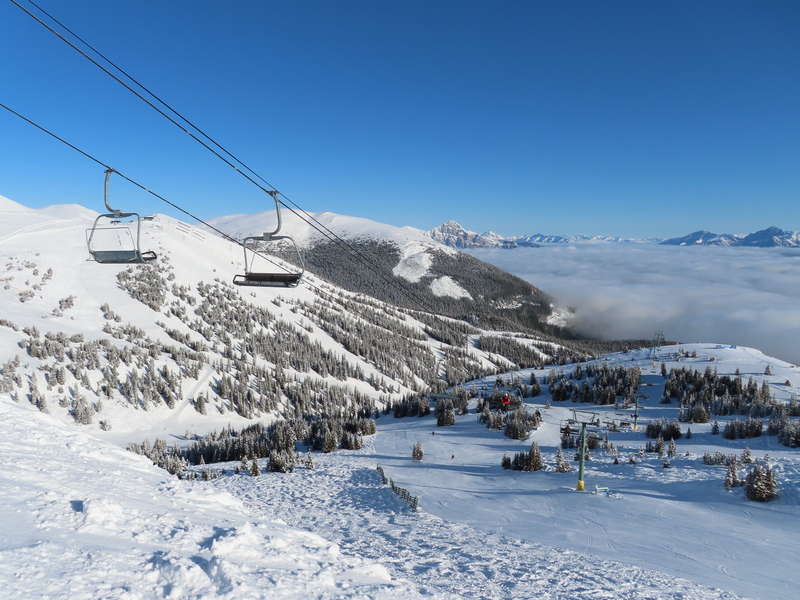 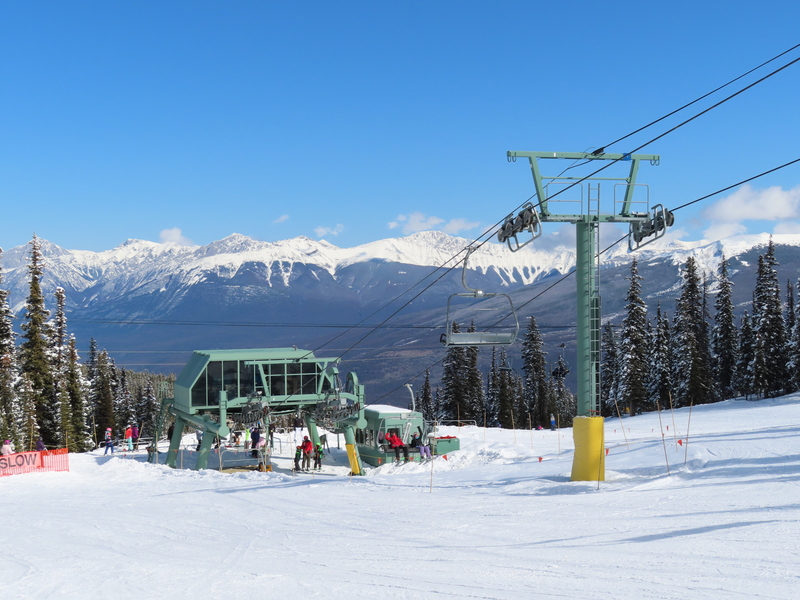 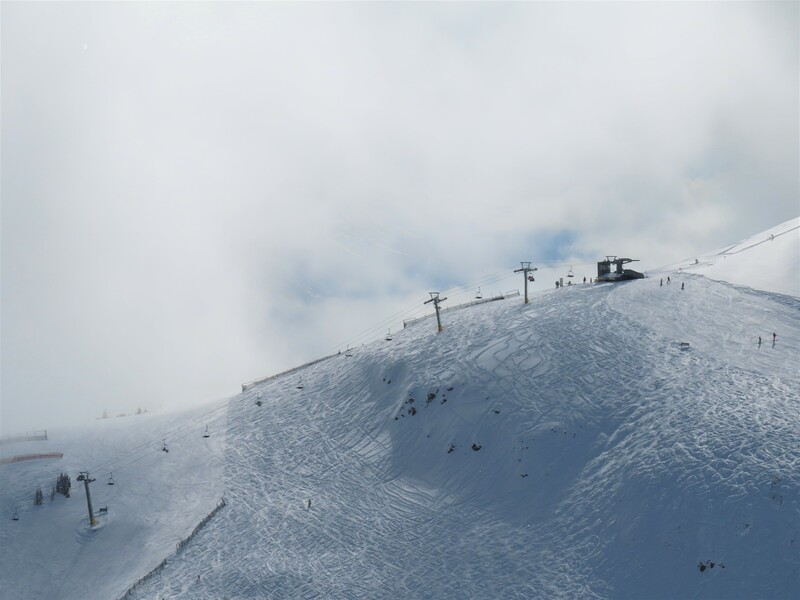 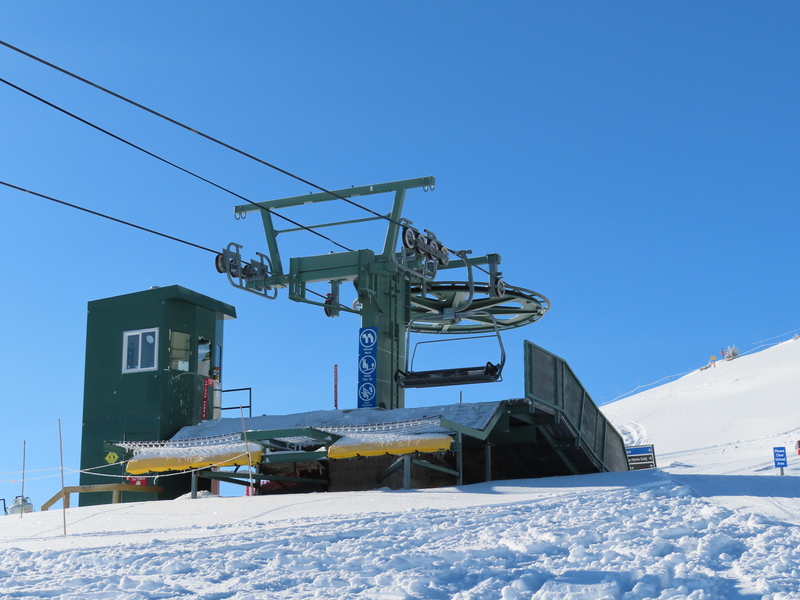 The Eagle Ridge expansion opened in 2001 with a new quad chair above the Eagle Express. 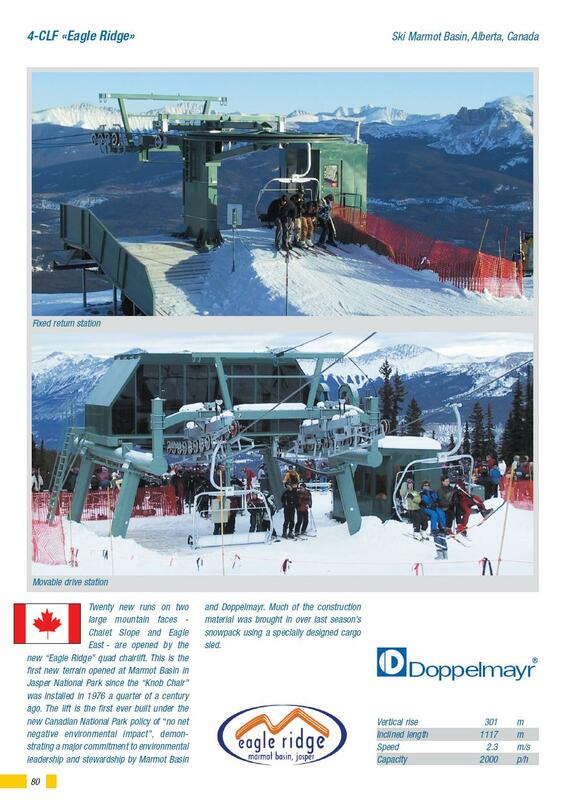 This was one of the last pure Doppelmayr fixed grip lifts built in Canada before CTEC components joined the scene in 2002. 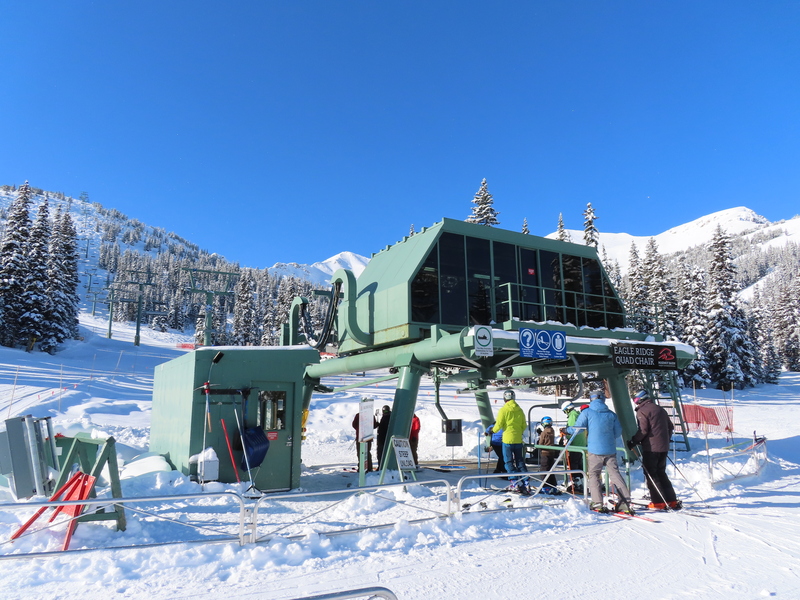 The first part of the line is very steep. 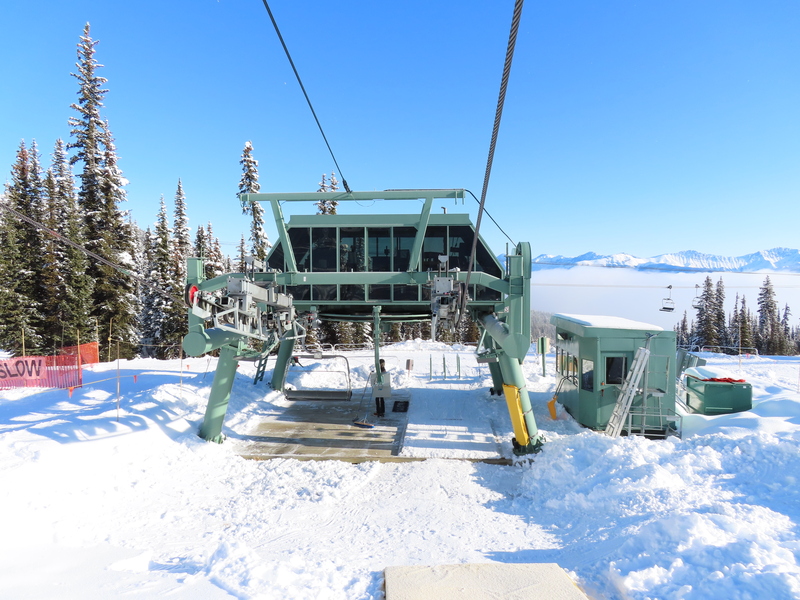 This lift travels downhill briefly. 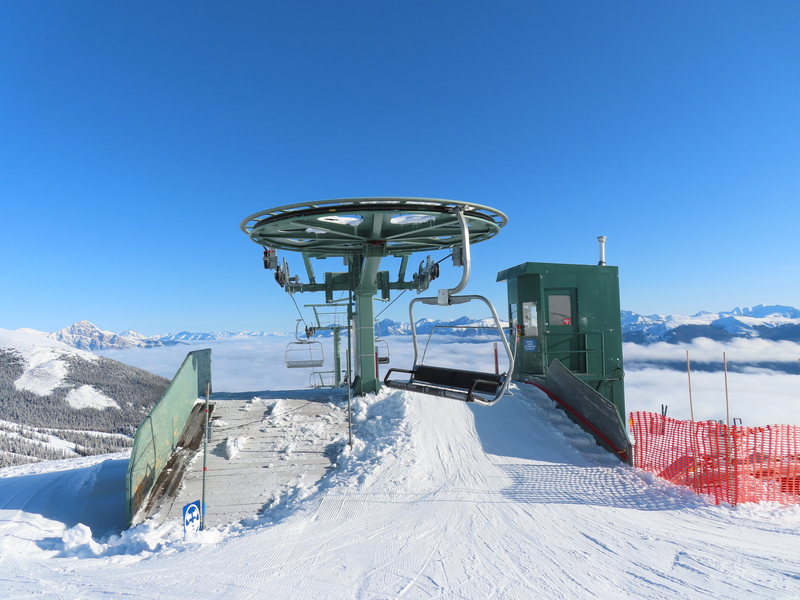 Side view of the top bullwheel. 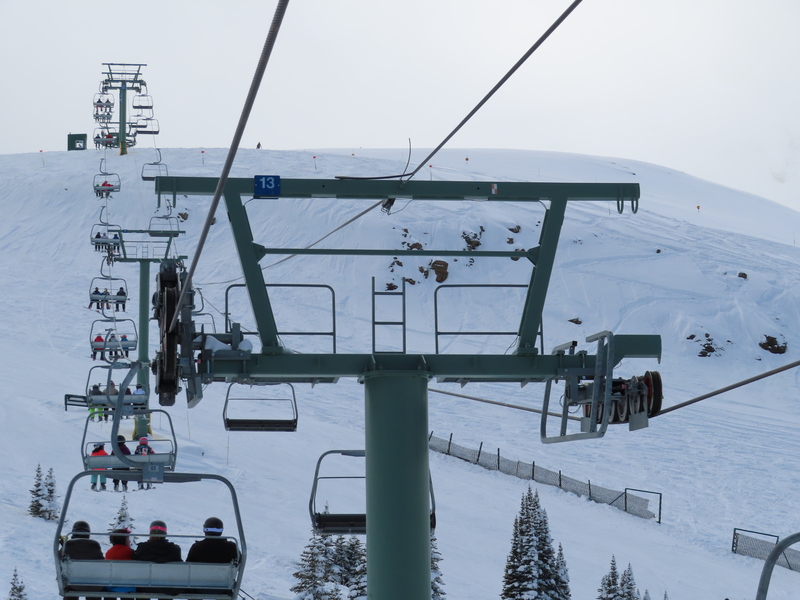 A bunch of this lift’s towers have combo assemblies on the heavy side but only depress ones on the light side. 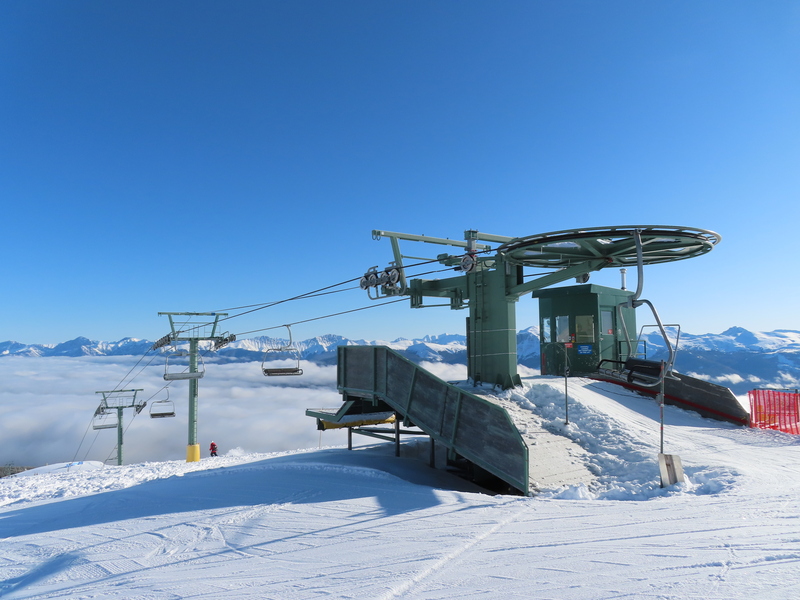 The top terminal seen from Paradise. 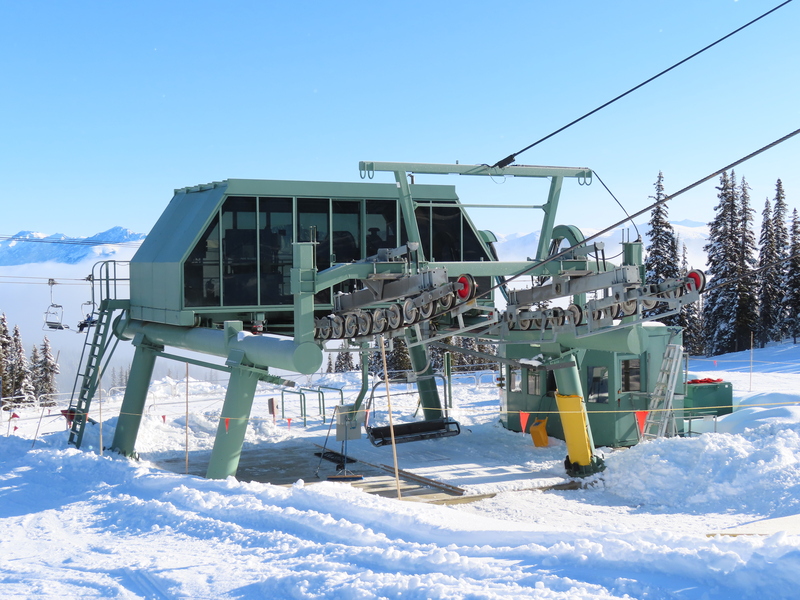 One of the towers with two different varieties of assemblies.